Being the first author on a paper is a big deal in academia. If you are not sure how to determine the order of authorship on your paper, a quick Google Scholar search will provide valuable insights. What’s your favorite method ? UPDATED: found a few more. UPDATED 2: now with links to papers (Phew.). Help ! My co-author is an animal ! Once discovered, papers on which she was a major author were then barred from the journal until the editor died and was replaced by another. Andre Geim, the Nobel prize recipient for his co-discovery of graphene, co-authored a paper with H.A.M.S. ter Tisha, his hamster. The American physicist and mathematician Jack H. Hetherington co-authored papers with his cat, F.D.C. Willard. You can read the whole story here. There might be more, let me know if you’re aware of any other similar case. Beyond the obvious provocative move by these authors (and Geim seems to be an interesting character), there are some serious underlying considerations here, I believe. When these cases were uncovered, most of the people were not happy. Academic is a serious endeavour, and pranks like these are not really welcome. To the public, scientists are serious people, doing serious work. Keeping this rigid attitude nevertheless does not make outreach any easier. I suspect that this somehow contributes to the defection of young people for scientific career, among many, many other reasons of course. Similarly, papers should (well, not really, but this is still the majority) be written in the passive voice, destroying every single hint that the research was performed by humans, because we’re all robots, right ? Many journals are now requiring to specify the authors’ contribution, which is a move in the right direction, but is still an imperfect solution. It is well known that academic research can also be a dirty little business. We all know a Prof. Big Name whom requires his name on every single paper coming out from his group, in particular if published in a high profile journal (Nature, Science, Cell, etc. ), even if he even hardly read the paper before submission. This is unfortunately still a common practive plaguing academia. When we published our paper in Science, since I was the main contributor, my colleague and friend Tony Tomsia asked me to be the corresponding author. A very unusual move in my experience. The consequence was very direct: the day after, I started receiving emails and phone call starting by “Dear Professor Deville”… This little move also impacted my career in many more ways that I could have imagined. So, an animal as a co-author ? You’re complaining about what’s just a funny little prank in a handful of papers (among several millions published per year) ? Give me a break. Give credits where it’s due for every paper published out there, and come back to me. As this point, I may listen to you. In the meantime, I’ll get myself a blobfish to help me draft my next paper. PS: Stuart Cantrill tweeted me that he’s written a blog post on a similar topic. Before reading his post, I wrote this one. Let’s see what’s his take on the issue. I noticed an interesting stat the other day: I had two papers published at almost the same time (2009) in two different journals: one a high profile journal (Nature Materials, IF>30), and a highly specialized journal (JACS – where C stands for Ceramics, not Chemical – IF<3). Both papers had almost exactly same citations count (53 and 54). Albeit a very poor indicator of the performance of individual papers, the impact factor gives some idea of the visibility of the journals, and hence of what one could expect from it. With high profile comes high visibility. The larger the number of readers, the more likely the paper to be cited in the future, among other consequences. Trying to choose where to submit your paper and how to best write it makes for an important part of our work time. After all, a study does not exist until it’s been published, right ? If you believe in what you do, that is, think your ideas are worth further attention and exploration, you’re hoping for your papers to have the best possible impact. Impact could be many different things, from citations to contacts with industrial partners, outreach, obtaining a grant, etc. Easier said than done, of course. Predicting the impact of a paper is a very difficult, if not impossible task. And yet, after >10 years of research, >50 papers published, and reading thousands of papers over the years, I have my own classification of papers, which also gives me some idea of what to expect in terms of impact. The proof-of-concept papers. These papers are the first steps towards an exhaustive exploration of a topic. If you’re in materials science, you show for instance that a process is possible to achieve such or such architecture. The properties are not optimized, but the idea is here. The titles are often quite short. The papers are not very common of course, but are usually highly cited in my experience. In my own record for instance, the 2006 freezing paper is the best example of this, with over 600 citations to date. The mechanical properties of these ice-templated materials where qualitatively good but quantitatively poor. The concept nevertheless attracted a lot of attention. The JACS paper I mentioned previously falls in this category too. The impact is usually high is the results open enough new avenues. If it’s a dead end, it’s quickly forgotten. The “WTF is going on?” papers. Here, observations of a novel phenomenon are reported. A theory is proposed, but quite often the authors are not quite sure of what exactly is going on. They tend to be highly specialized. Predicting the impact of such paper is tough. Our Nature Materials paper discussed above fall within this category. We thought the results were interesting and puzzling, and so did the editors and reviewers. But it was a highly specific issue (instabilities of a freezing front in a colloidal suspension), and I never expected this paper to receive a large number of citations. Its citation count is indeed comparatively quite low, with respects to papers of the same age in this journal. 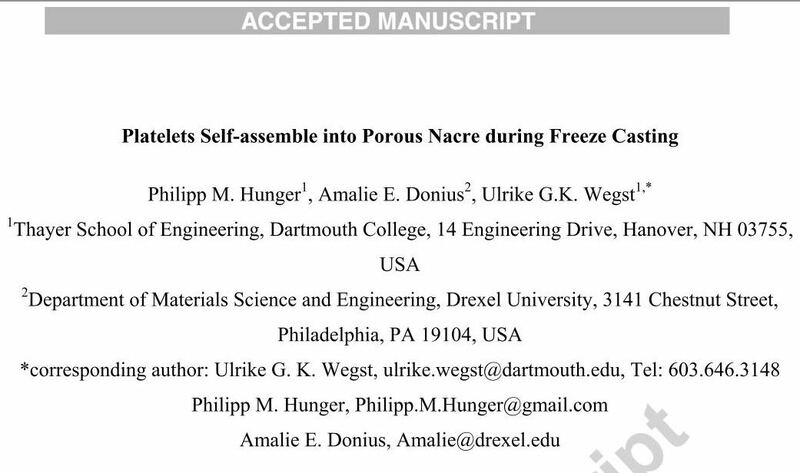 Most of the citations are coming from people whom discovered ice-templating through this paper, which is a nice side effect. The review papers. Whether such papers should be counted in your citations records is a matter of debate, but they are definitely useful. There are many types of review papers. Their impact varies, but they are usually attracting a lot of attention, in particular if there’s a small number of such papers in a field or if they come first. If well done, they are terrific time-saver for newcomers on a given topic. The reproducibility papers. Way too rare, although indispensable to the advancement of science. One usually get very little to none recognition for this, and such papers are difficult to publish since journals almost always require novelty. Their impact is minimal from an academic point of view, but possibly very important in real life (think drug testing for instance). The time-wasters. Self-explanatory. A waste of time for the people who did it, for the reviewers who spend some time on it, for the journals that publish them, for the readers. Every time you write a time-waster, god kills a kitten. I am not sure about your experience in your own field, but in materials science, there’s a fair amount of such papers. They can be useless for many different reasons. Because there are already dozens (hundreds) of papers reporting the same thing. Because the experiments are obviously a bit sloppy. Because the reporting is incomplete. Because the variation in the parameters in infinitely small. These papers are never cited, even by their own authors. Their only benefit is to add one more line to the curriculum of the authors. With several millions of papers published every year, such papers are also largely unnoticed. Whenever I write a new paper, I find it useful to know which kind of papers I’m shooting for. This is providing some guidance for where to publish it and how to write it, which is another story. Did I miss any type ? Let me know in the comments, I’ll be curious to know how your experience differs. NB: In addition, there are a few more, highly specific types of papers such as the response/comments, or the fake papers, but these are very rare. The day a paper is out, the world learn about new results, that contributes (hopefully) to the advancement of knowledge. Sometime it is a big step, usually it is just — in the grand scheme of science— an incremental step. Most of the people have no idea about the scientific process that went behind this particular paper, and how researchers arrived to such conclusions. Most people also assume that such process is somewhat linear. If you are into scientific research, you definitely know that this is not the case. You are aware of the trials and errors. The grant race to raise money. The failure of equipments. The orders you have trouble to pass. The small and big problems you have to solve. The one puzzling experiment that destroys your beautiful theory at the last minute, because data are always king. The many reasons we enjoy what we do. In a nutshell, the origins of what I called the emotional roller-coaster. Our latest paper was published yesterday in Nature Materials. For the readers, this is a one day old story. For us, this is the final touch to a research effort that kept us busy several years. Today, I will try to give you an idea of how we arrived at these results. A peek behind the curtains of science. I did not keep track of every single day, but remember most of the milestones and setbacks we encountered. If you are doing research, this will be a familiar story. If you are not, well, sit down comfortably (this is a long post, reading time around 20 min), grab a beer, and keep reading to learn about the nitty-gritty details of the scientific progress, how work is done, from the original idea to the publication of a paper. Winter 2009. My first PhD student just defended her PhD. We have been working on the fundamentals of ice templating: what happens when you freeze a colloidal suspension ? The basic idea is deceptively simple. It is as a self-assembly process inspired by a natural occurrence of colloids freezing, the freezing of sea ice. When ice crystals are formed, the various impurities originally present in seawater (salt, biological organisms) are expelled and entrapped within the brine channels between the ice crystals. Using ceramic particles instead of biological impurities, we take advantage of this natural segregation principle, while using ice as a natural and environmentally-friendly templating agent. 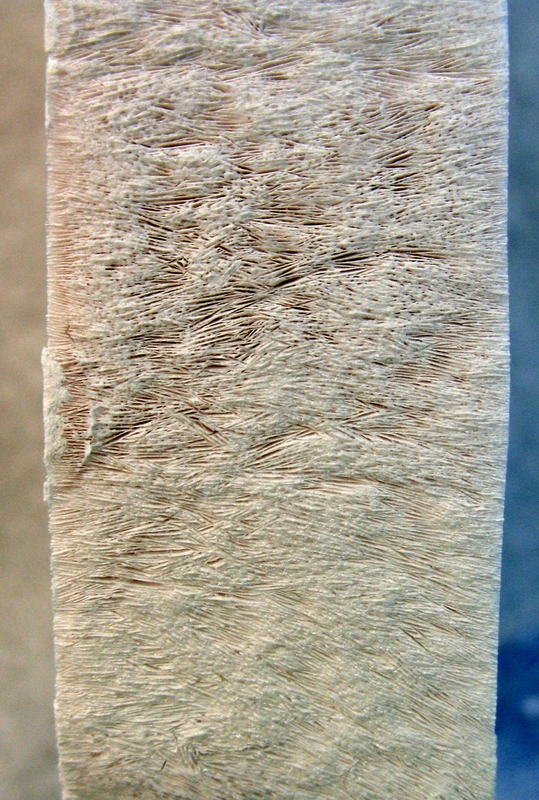 The ice crystals are then removed, leaving pores in the material. I have been working along these ideas for a couple of years. It’s a fun topic. What are the main parameters we should carefully control to process defect-free materials ? We used commercially available ceramic powder so far. Irregular shapes, and distributed sizes. The main conclusion of her PhD is that this is actually awfully complex. It might be time to move to a simpler, more model system, to better understand and control what happens. One old and kind of obvious idea came back to my mind: what would happen if we used anisotropic particles, like needles or platelets ? How would they behave in front of the water/ice interface ? Could we possibly align and/or order them, like playing cards organize in your hands ? Could we take advantage of this alignment to get unique properties ? People have been freezing colloidal suspensions for a while, and no one thought about this —or at least tried— , which surprises me. Time to investigate. First, the money. I apply for a grant at the ANRT, which should found the salary of the PhD student. These grants require a collaboration with an industrial partner, practical applications of the work should not be too far. This seemed to be a perfect topic: they are several properties that could benefit of the alignment of anisotropic particles. Saint-Gobain likes the idea, jumps into the train, and off we go. Spring 2010. Next step: finding the right candidate. This step is absolutely critical, as, in my (short) experience, any PhD topic become what the student makes of it, depending on what he (she) is good at. Attracting candidates to the lab is the most difficult part of the process for us. 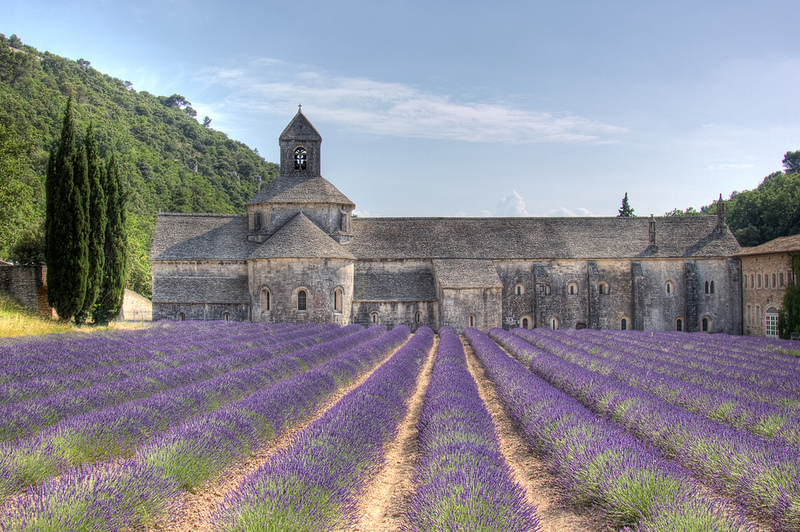 We are in the countryside, which is beautiful (Provence !) but far from universities and school. None of us is teaching. There are nevertheless many students coming to the center for their 6 months internship which is part of their master degree. This is how we find most of our candidates. We interview several candidates, until we find this one guy with an interesting background: he is good at both experiments and modeling. Perfect for the topic. He’s happy, we’re happy, everybody’s happy. Let’s get started. Autumn 2010. Florian arrives in the lab, his internship done. First things first: raw materials. Ceramic processing is cooking, we need proper ingredients first. One thing we can intuitively expect: for particles —like other things in life— size matters. Another problem we know from the previous PhD: electrical charge at the surface of our particles also matters. And of course, most platelets particles —such as clay— are highly charged. We need non-charged particles, with controlled particle size. Luckily, we have one perfect candidate: boron nitride (BN). Very low surface charge if any, particle size in the 5-50 microns range, low density. In the meantime, Florian gets familiar with the state of the art on freezing colloids. First problem we have to fix: we need a stable, well-dispersed suspension. If poorly dispersed, particles are stuck together forming aggregates, like overcooked rice. Such agglomerates will be less likely to reorganize during freezing, and will sediment rapidly, because of their weight. The usual way to disperse and stabilize a suspension is to incorporate polymeric chains that will stick to the surface of particles, preventing them to touching each other. Unfortunately, their adhesion is usually based on surface electrical charges. Non-charged particles are thus more difficult to disperse. After a couple of weeks testing different compounds, we’re getting good results with cellulose. After thorough investigations, we become convinced that cellulose is acting as a dispersing agent for these particles. These results will lead to Florian’s first paper, published in the Journal of the American Ceramic Society. If you are interested in dispersing nitride or carbide powders, you should check it out. Winter 2010. Time to freeze. Because if you work with me and don’t freeze, you’re fired (unless you give me A LOT of chocolate). Florian is preparing a couple of suspensions with different particle size and particle concentration and freezes them. Let the ice sublimate in the freeze-dryer, before putting them in the furnace and putting everything at high temperature for consolidation. Samples are then cut, before putting them in the scanning electron microscope for observations. The first pictures are promising ! Platelets get aligned! Not everywhere, but it’s promising. Time to investigate the proper conditions to get a good alignment. Florian is a geek. We convince him to build a molecular dynamic model of particles being concentrated by growing crystals, to both understand and optimize the experimental parameters. Because proper science needs colorful plots and pretty pictures, right ? And because it’s currently impossible to look in real-time at particles being moved around by the freezing interface. To confirm the model, we buy some beam-time at the ESRF to scan the frozen structures at high-resolution (50nm), and thus get a 3D representation of the organization of particles. We eventually build a phase diagram helping us to find the optimal parameters to get the maximal packing of particles. These results will later be published in Langmuir, and give us useful guidelines to optimize the processing conditions. We take advantage of these results to look at the properties of the materials we have just created. One of the interest of boron nitride is its good thermal conductivity. This conductivity is anisotropic: it is higher in the plane of the platelets than perpendicular to it. In our frozen materials, this properties is thus directional. This could be used to remove the heat more efficiently in applications where this is needed, such as electronics. I don’t think this is the most promising application, though. We don’t dig further. Spring 2011. Time to move to the good stuff. Back to my first love: the mechanical properties. 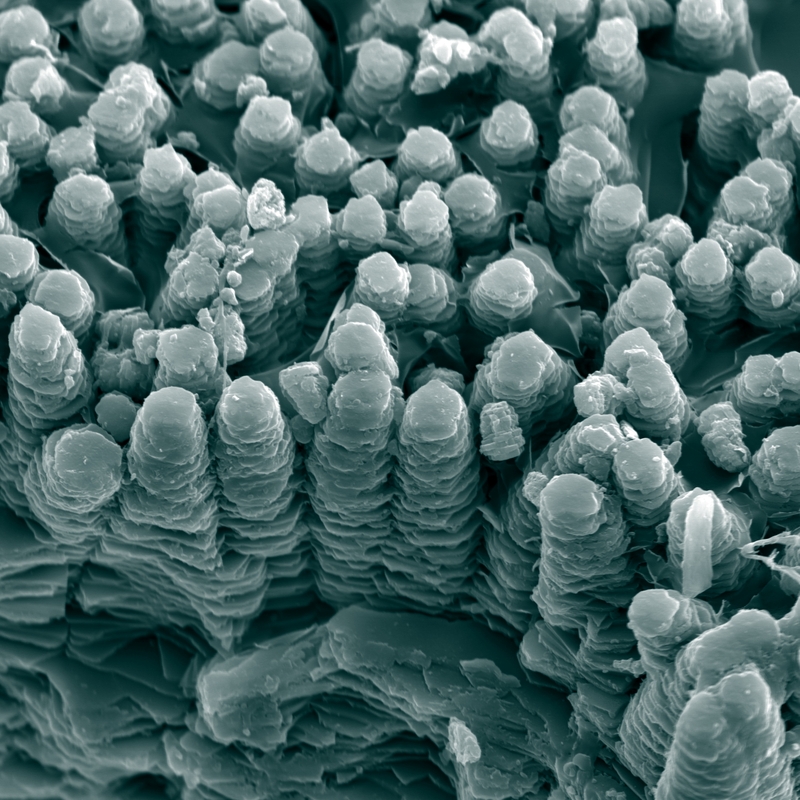 I still have in mind the amazing structures of the abalone shell that I investigated during my postdoc in Berkeley. In a first approximation, its structure is a brick and mortar arrangement. 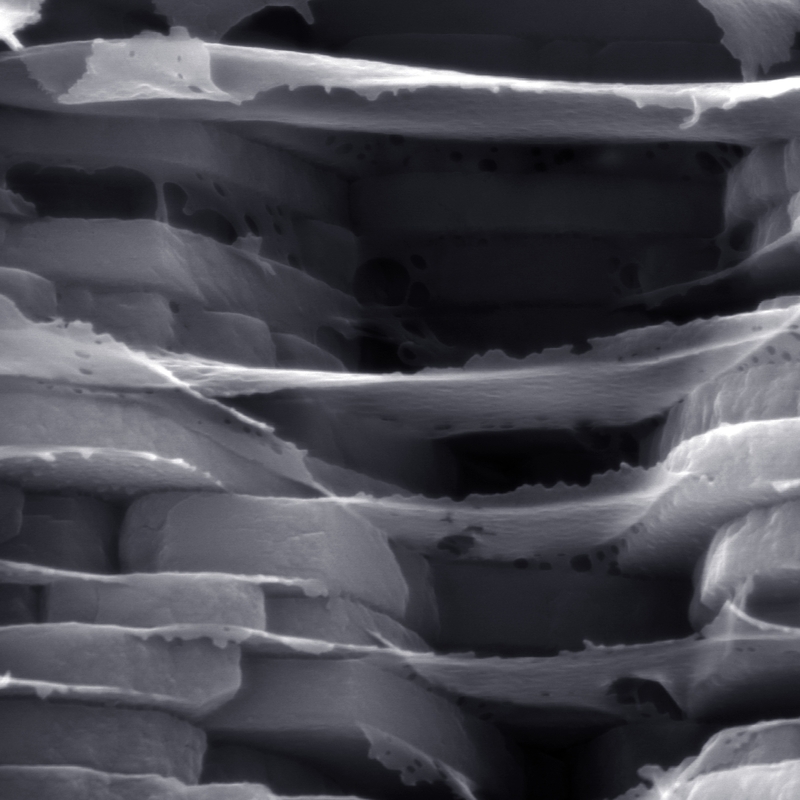 Due to this amazing structure, its toughness is around 3000 times that of its building blocks. We previously used freezing to create the bricks , but there’s only so much we can do this way. In particular, we cannot create small (submicronic) bricks. And yet this is the size we need to target if we want to achieve good mechanical properties. The approach is challenging, so other strategies are being explored. But starting with bricks (platelets) of the right dimension would be ideal. We just need to find them. Easier said than done. Aluminium oxide (alumina) would be a good candidate. A french company was making some a few years ago, we found some pictures in old papers. The company has since been bought, and stopped the production. A colleague of mine in Lyon might have some left in his lab. I give him a call. No luck. Nothing left. Winter 2011. Andre’s paper is out in Science Magazine. I have known him for a while. We never worked together, but meet each other at conferences. Awesome work as usual. But was catch our attention is the raw materials they are using: alumina platelets, half a micron in thickness, a few microns in diameter. Exactly what we need! He’s emailing me the name of their provider, based in Australia. We eventually managed to order some, and Florian get started as soon as they arrive. Dispersing them is easy. 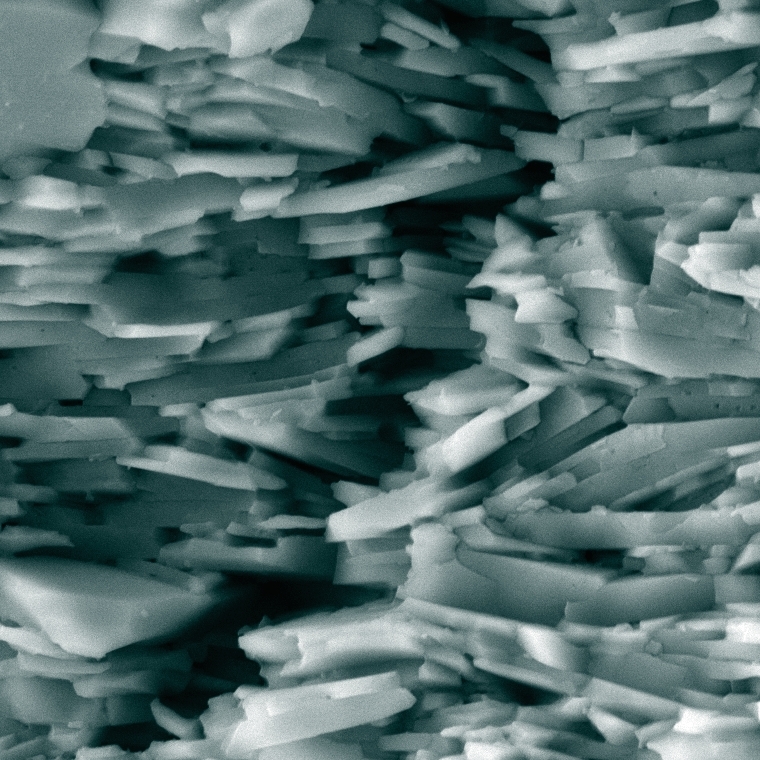 The surface of alumina is usually charged. This is a textbook case. We have a new problem, though. 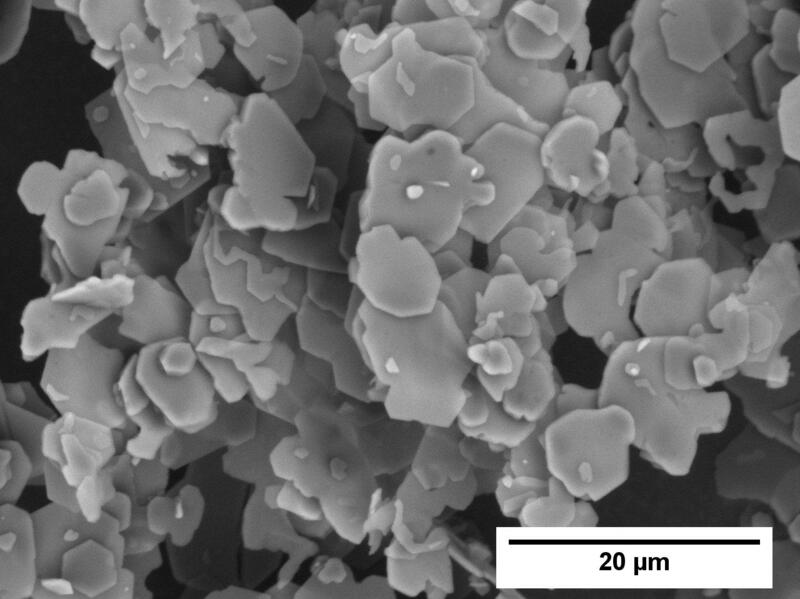 The density of alumina is higher than that of boron nitride, and particles sediment rapidly. We need a fix. In the meantime, Florian keeps working on the molecular dynamics model. September 2012. I visit an awesome lab in Lyon, invited by Lyderic Bocquet. I give a seminar, spend the day talking with the people in the lab. They’re all physicists, and among other things, I learn about yield-stress fluids, which they create using a polymeric compound commercially available under the trademark name Carbopol. We can use it to create a gel —that will stop the particles from sedimenting— that behave like a fluid as soon as it is put under stress. Exactly what we need. Florian order some, works like magic. Problem solved. Let’s keep moving. With ice-templating, we are getting porous materials. Our model is nacre, a dense materials. We thus need new tricks to densify our material. Removing the big pores could be easily achieved by pressing, if all the platelets are aligned more or less along the same direction, like playing cards align in your hands when you gently shuffle them. To do this, we need to control the ice crystals orientation, at a large-scale. This is a tough problem. We came up with a solution a few years ago, by combining surface templating and vibrations. But we have never been able to reproduce it. Not robust enough. We need something else. Digging the literature on ice can be time-consuming. 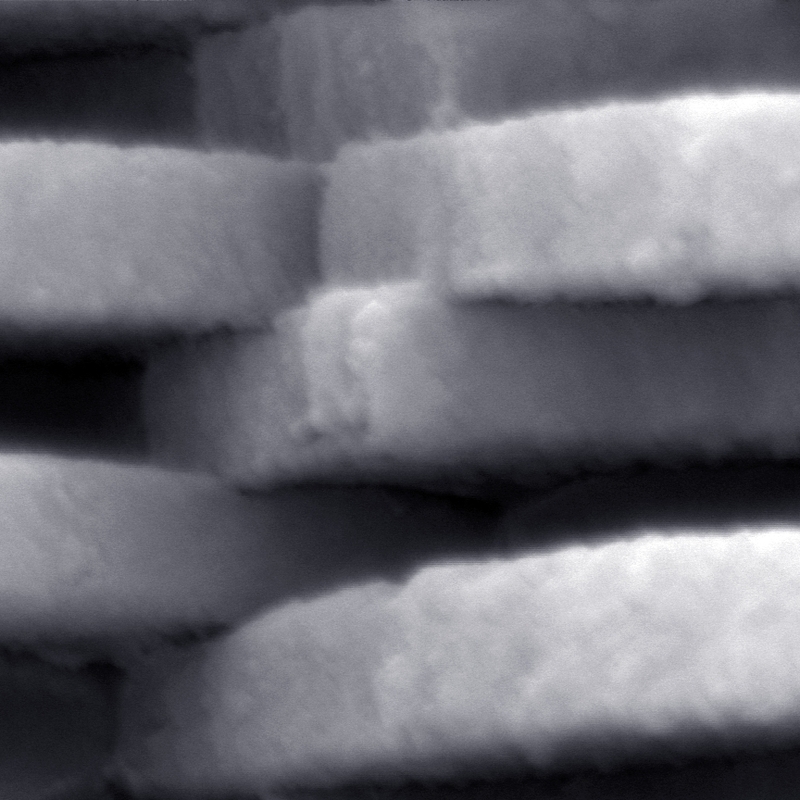 Ice is everywhere, from geophysics to food engineering and materials science. I eventually came across this paper of people looking at ice crystals orientation in frozen lakes. The stream under the frozen surface is inducing a long distance orientation of the ice crystals. Mmmm…. Sounds good, but how can we reproduce this ? Do we really need a lake in the backyard ? It’s not freezing very often in Provence. I talk with Florian, and we come up with what we now refer to as freezing under flow. We just let the suspension flow across a cold surface, while the temperature is lowered. By doing this, we create a second temperature gradient, and crystals start growing from the sides ! We end up with ice crystals more or less parallel to each other, over several centimeters. The mechanism turns out to be completely different from that occurring in frozen lakes, but hey, we got what we need ! More optimization is required, but we’re on the right tracks. All the pieces are falling into places. Florian can now press the samples and reach a very high density before the high temperature step. To save time, we do the pressing and high temperature treatment in a single step. The equipment is available in Lyon, and Florian spend a lot of time in the train between Lyon and Avignon. You’d better love traveling if you do research. The microstructures we get are very promising. We achieve a good density, and thanks to the rapid sintering, the platelets keep their original, submicronic size. Time to build upon these structures and increase the complexity of the system. The paper that almost killed us. Winter 2012. Ulrike’s paper is out ! They are freezing platelets ! Exactly the same than ours ! A bad day, Florian is devastated. I pretend to be ok. I have known Ulrike for several years, since she was a visiting scientist at LBNL while I was there as a postdoc, doing the early freezing experiments. She now has a group in the US, and doing work on ice templating. I’m not surprised, thus. Luckily, they just focused on porous materials. So there is plenty of room for us, since we are targeting dense materials. But are they still working on it ? From now on, the clock is ticking. Back to the drawing board. Processing nacre-like materials is a popular game. All the synthetic structures share a common limitation: they are brick and mortar structure, and that’s about it. No other structural arrangement. And yet, having structural features at different length scales is one of the reasons that nacre is so tough. Let’s look at what we can do. The surface of the platelets in nacre is rough. When they are sliding over each other, a lot of friction is generated, dissipating a large amount of energy. The surface of our platelets is smooth. What can we do about it? Thermal or chemical etching ? Not very appealing, we would like to keep the process simple. I suggest adding nanoparticles of the same nature, that hopefully will fuse to the surface during the thermal treatment and create some roughness. They might even join adjacent platelets and create links between them, similar to the inorganic bridges in nacre. Florian enjoys the idea — or it’s just that I am the boss and he diligently obeys— orders some, and is rapidly getting excellent results. Time to put the final touch. 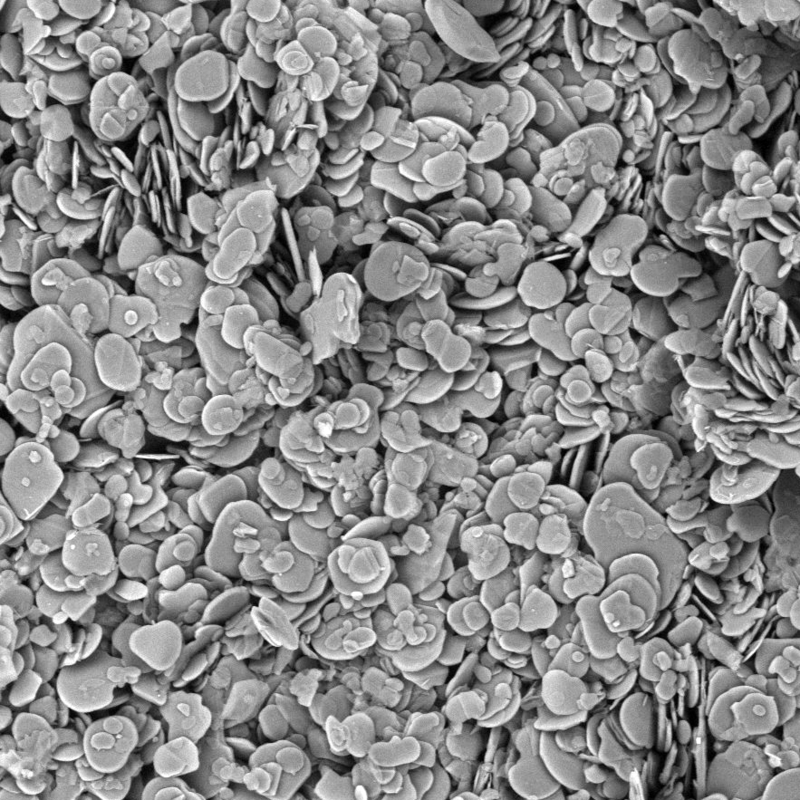 One of the most spectacular feature in nacre is the protein layers present between the platelets. But if we want to use our material at high temperature, which is what ceramics are good for, we do not want any metal or polymer in there. We need something that will melt and fill the remaining gaps, and yet do so after the nanoparticles are fused to the surface. A glassy phase ? That might do the trick. Luckily, we have an expert in the lab. He suggests a mix of calcia and silica, that should melt at high temperature. We have all the ingredients in the lab, already. We are now in known territory —ceramic processing— and the tedious work begins. 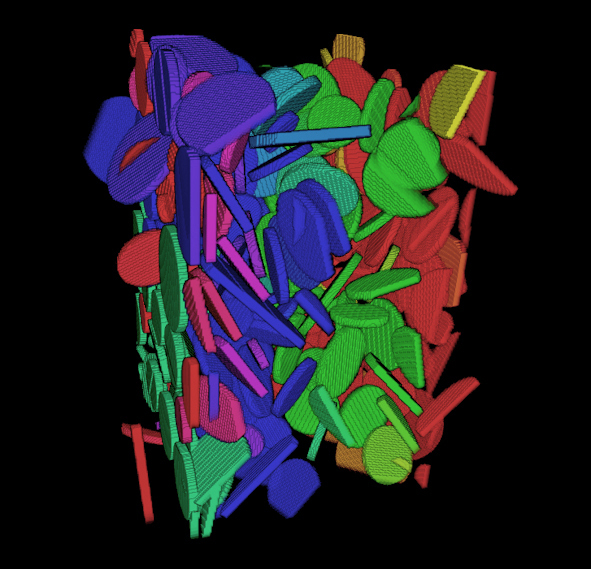 Optimizing the relative proportions of each component to achieve what we need, investigate the high temperature densification of the materials to reach full density. To save time, Florian is investigating the densification mechanism on the still macroporous materials, skipping the pressing step. The mechanical properties of the macroporous materials are in the upper range of what we can expect for cellular materials. The structure can be made similar to that of wood. A fun side work. 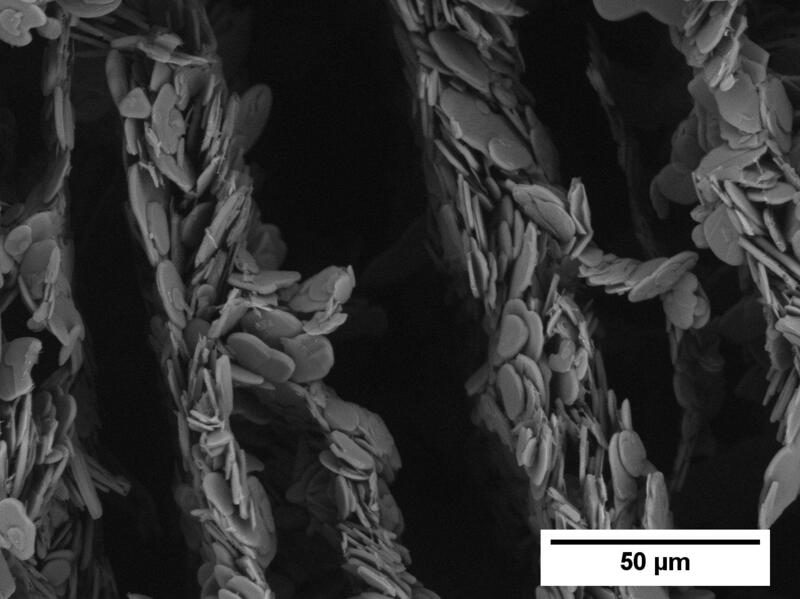 The results of this will later be published in the Journal of Materials Research. Spring 2013. Less than a year left for Florian, as his salary is only running for three years, and we’re about to test if the original idea was a good one. Time to measure the mechanical properties of our dense materials. Another tedious step. Making materials. Cutting them into samples. Polishing the sample. Creating the notch for toughness measurement. Breaking the sample. Analyzing the results. And starting all over again with a new composition, changing the amount of nanoparticles and glass phase, to optimize the mechanical properties. We fine-tune the composition, and start getting truly amazing properties. The fracture surface are very tortuous, which is a good sign. 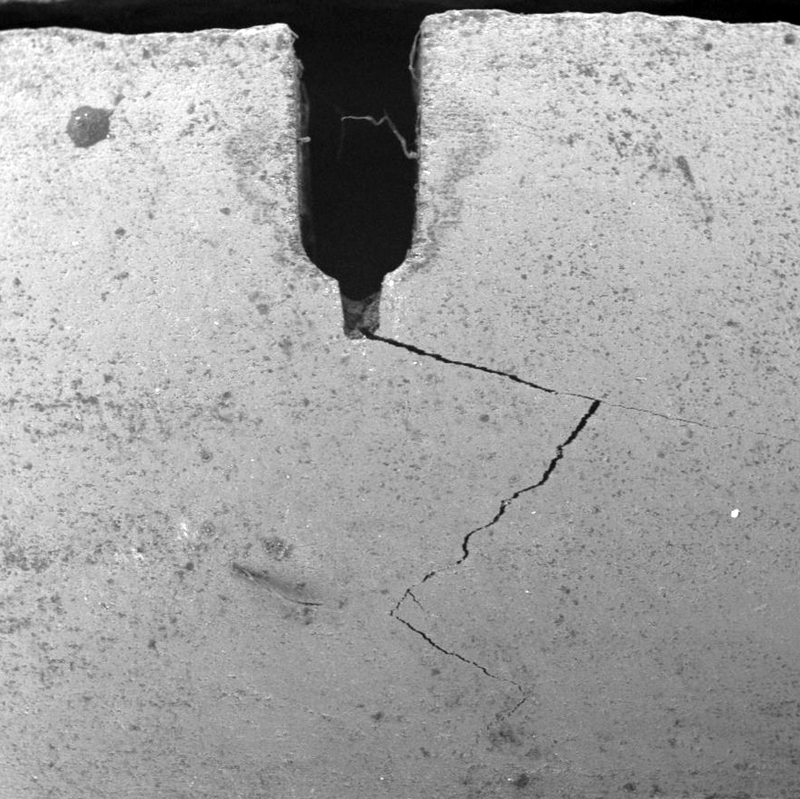 Some samples are still holding together as one piece after failure occurs. And this is a purely ceramic materials. Amazing. High toughness, but what about the strength ? 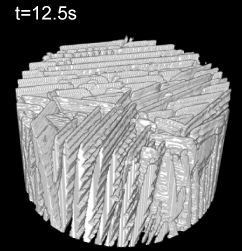 Combining high strength and high toughness is one heck of a challenge in materials science. This is the ultimate test. Florian prepares a batch of samples for bending test, and I follow him in the lab to break them. He put the first sample in place and I hold my breath as the load increases. Come on baby, hold it ! Hold hit ! Bang ! The sample just broke. The strength is high. But we need more than one sample of course, as strength value are always somewhat scattered. Second sample goes under the machine. Load increases. Bang ! High strength again. I start to relax. Third sample. High strength again. I think we nailed it. There is remarkably little scattering of the strength value. Florian keeps breaking sample to get a statistically valid strength value. We’re at the usual level of a standard alumina. Terrific. May 2013. Time to wrap up everything in a nice paper with all the cool stuff in it. Florian makes the first draft, and the editing game begins. I usually reach a good manuscript at version 5 or 6, and a final one at version 10 to 15. We send the paper back and forth to each other. Spend a long time on the figures. What’s the best way to explain the process ? How many figure should we shoot for ? Adobe Illustrator is constantly opened on my laptop. The large 27’ screen, hooked up with my laptop, is excellent for this. 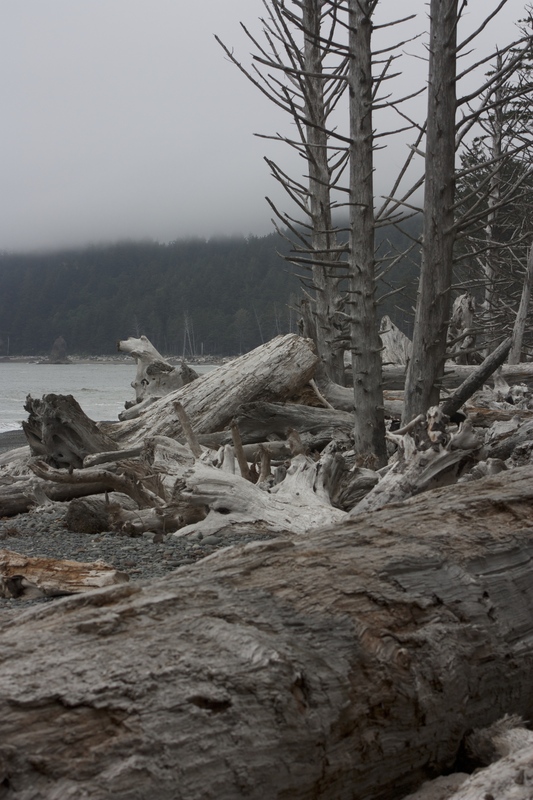 Dead trees on the beach around La Push. No wifi here. But the coast of Olympic NP is stunning. I still anxiously check my RSS feed every morning for the newly published paper. Nothing new from Ulrike’s group. One big question left: do we measure the high temperature properties ? This will take a while. Florian’s PhD is almost done, he needs to write his manuscript. We are also scared of being scooped at the last-minute. We eventually decide to go without it, knowing this could be a weakness of our paper. July 2013. The paper is submitted to Nature… and sent out for review… So far so good, knocking on wood. 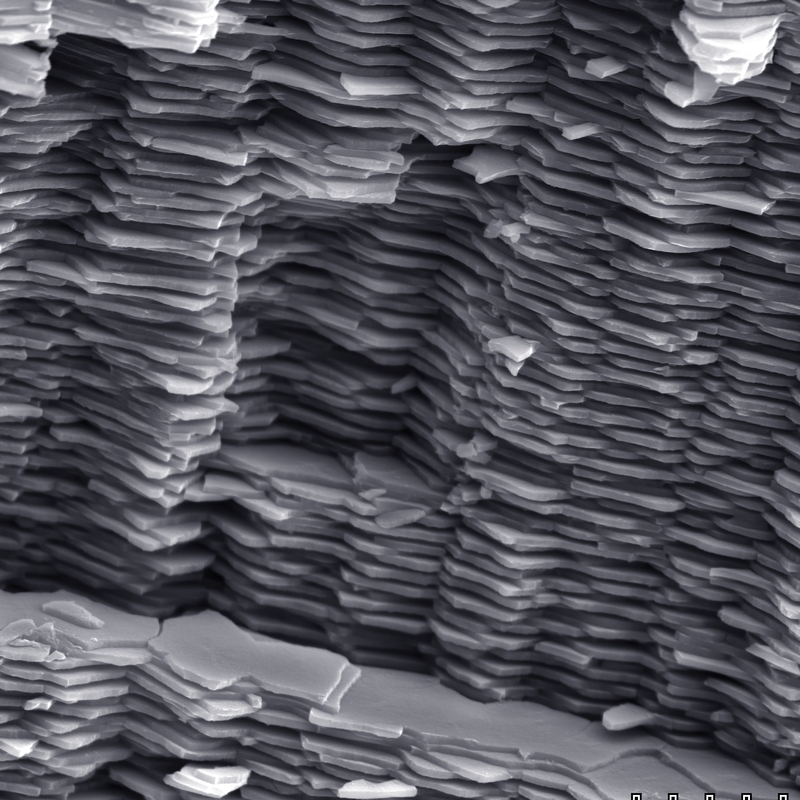 We hope for the best, knowing there are very, very few materials science papers in Nature. My office, for a few hours. Somewhere between Seattle and Portland. The coffee was good, at least. August 2013. Family trip to the US north-west. I have a conference in Portland, and we have been thinking about going back to the US for a while. It’s a good opportunity. Let’s go camping. Lost in the north-west parks and rocky mountains, there is little internet connection, which is good to disconnect. No email for a while, but I am eager to get the reviews back. I never really disconnect in this work. The science is always sitting here, in your mind. Even more so with a big paper submitted. 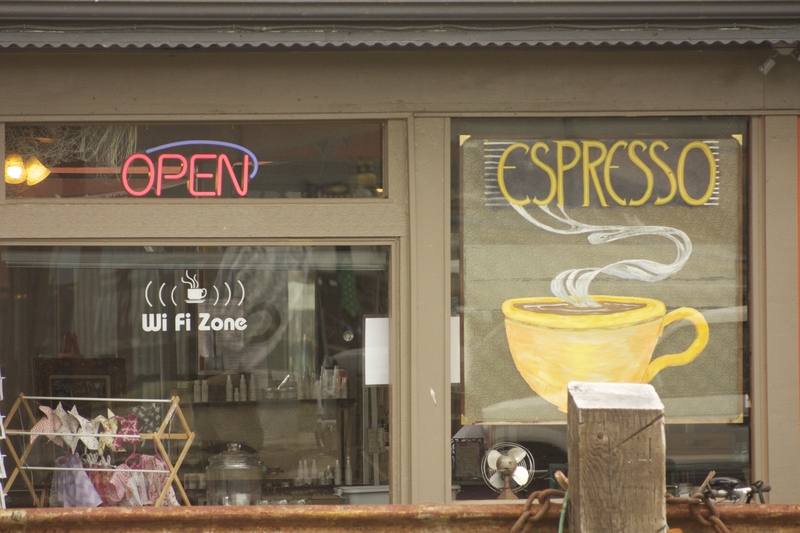 We stop for an espresso on our way to Portland, and finally get a wifi connection. Reviews are in… and the paper is rejected. “Kidos, why don’t you go play outside for a while?”. One excellent review, one good with a few comments, and reviewer #3 that literally kills us with dubious arguments. Rejected mostly because the results are considered as too specialized for Nature. One thing is clear: not having the high temperature properties definitely killed us. Working, while waiting in line at Voodoo Doughnuts. 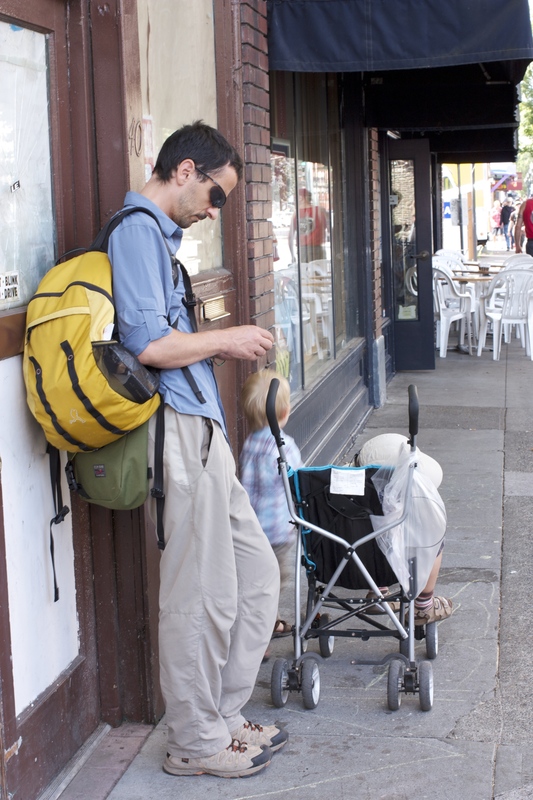 Florian is also in Portland for the conference. We discussed what to do next around a few pints of IPA, based on the reviews. Let’s take advantage of these comments to improve the paper as much as we can. 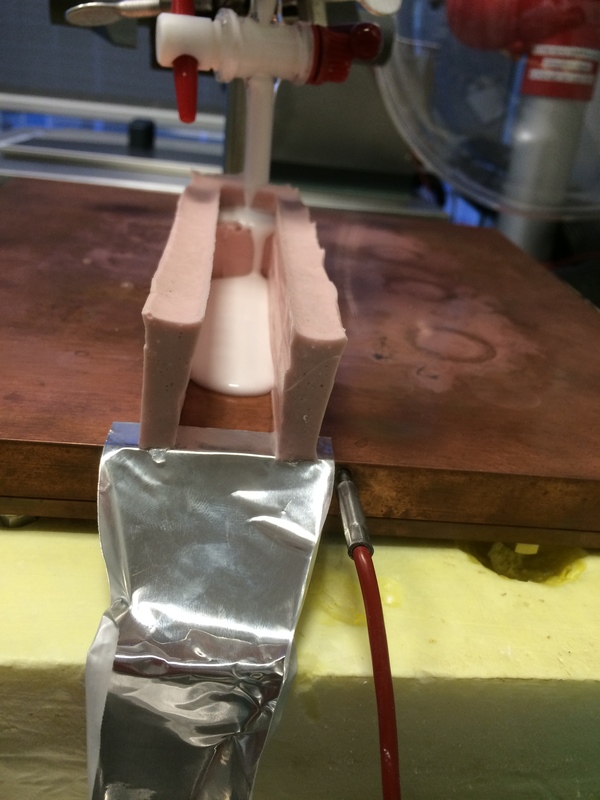 We eventually decide to perform the high temperature measurements: we need rock-solid facts to convince the editors, reviewers, and readers, even if our material is 100% ceramic. September 2013. Back to the lab after the vacations. We rewrite the paper extensively, using the reviews. Meanwhile, Florian is making more samples and measure their properties at 600°C. Enough to demonstrate these materials can operate at temperatures where ceramic-polymer composites cannot, which was the original idea. We are also improving the measurements of the mechanical properties by using an LVDT sensor, more precise. Florian eventually measures the hardness and stiffness. Triple-check all the calculations again, we don’t want to finish on Retraction Watch because of a typo in an excel spreadsheets. Everything is good. Green lights everywhere. We keep editing the paper over and over, removing all possible traces of hype —scientists hate hype, I’ve learned this the hard way—, fine-tuning the schemes. Weighing each word cautiously. At this point, I stopped numbering the versions a long time ago. Might be worth moving to a proper version control system like GitHub. October 29, 2013. I submit the paper to Nature Materials. Should be a good fit for the journal and its readership. The paper is rapidly sent out for review. So far, so good. Again. Florian, being congratulated by David Clark himself after a brilliant defense. December 2013. 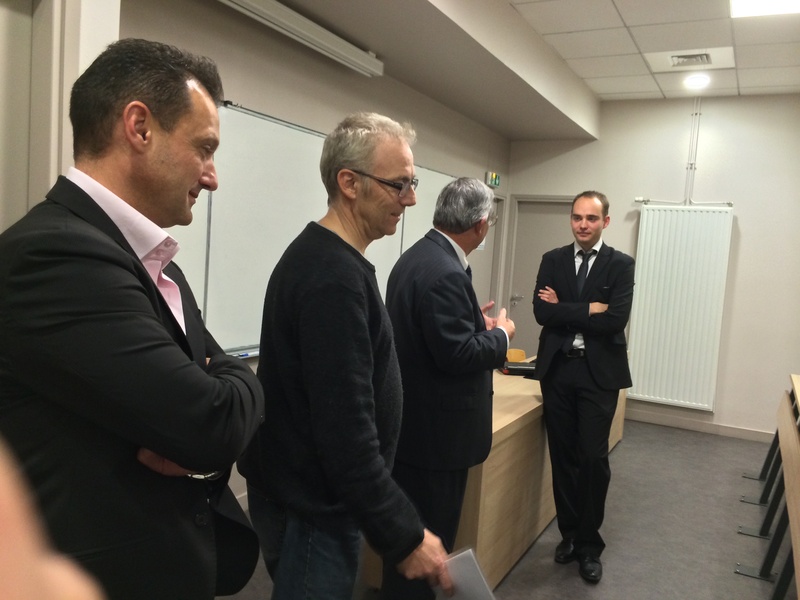 Florian defends his PhD, before leaving to Switzerland (ETH) for a postdoc in Andre’s group. Good for him! It’s a very nice group coming up with a tons of exciting ideas. I’m sure he’ll do great stuff there. December 18, 2013. Christmas comes earlier this year: the reviews are in, and boy, they’re good ! Even reviewer #3 is happy. We have a few things to fix, but nothing critical. The revised version is submitted after the break, and the paper is accepted on … Valentine’s day. I am apparently not the only one in love with this paper. February 27, 2014. The proofs of the paper are ready. I immediately spot two big mistakes that appeared during the making of the proofs. Always check the proofs, this is not an optional step. Once printed, it’s too late. March 23, 2014. The paper is published online. Florian is happy, we’re happy, Pharrell Williams is happy, everybody’s happy. The world discovers our results, CNN is calling us, Wall Street go nuts. Well, not really. But we’re excited to share these results ! The CNRS is happy about these results, issues a press release. This is indeed a cool topic for outreach. The pictures of the abalone shell are stunning if you have never seen them before. End of the journey ? For us, this still feels just like the beginning. We are already building upon these results, and are working on tons of exciting extensions of this work which I won’t tell you about here, of course… Go figure out yourself, there’s so much we can do with this now. I cannot wait to see what other scientists will come up with. It’s been quite a journey since the original idea. When we publish several papers a year, it’s easy to forget how long it can take to get to something worth publishing. Sometimes it’s fast, usually it’s not. Torn between the deadlines of your grant agencies, the possibilities of being scooped by some group working on the same topic, the finite duration of a PhD, the possibility to increase the number of lines on your CV by slicing your results into less important papers, it’s easy to forget the big picture and publish half-baked papers, that will be less memorable. Reflecting upon this particular journey is a good reminder that good science takes time, and is not a linear, regular process. Science is like solving a giant jigsaw, except that you don’t know if there’s a solution to it. All the pieces required to solve a particular problem can come from very different and sometimes unexpected places. When all the pieces are finally falling into place, happiness ensues. I love this job.